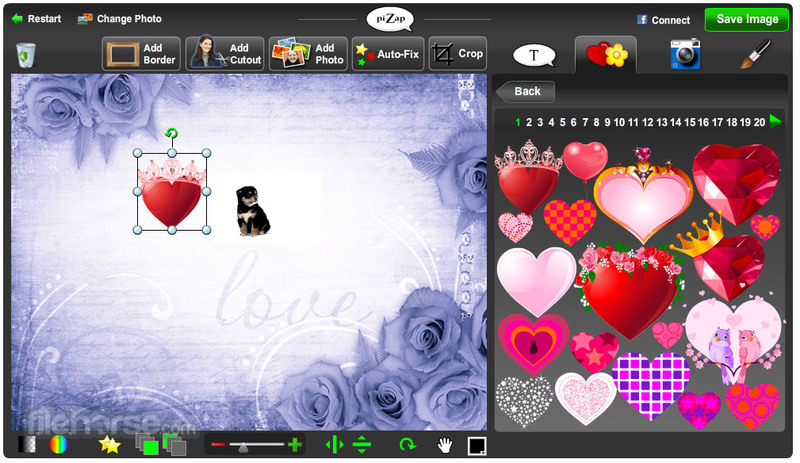 piZap is a simple but powerful online editor that has very strong connections to every popular social network that is used by millions of people around the world (most notably Facebook, Twitter, Pinterest, MySpace, Hi5, Orkut, Friendster, and more). Fun and Easy Photo Editing! 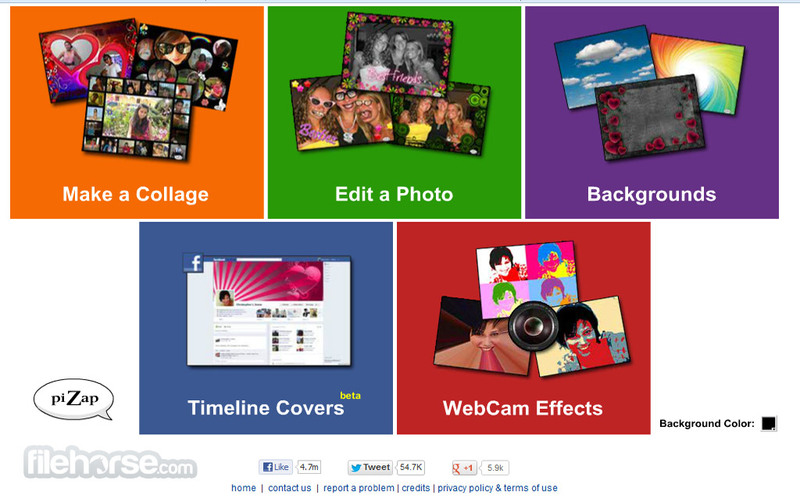 piZap allows you a very easy way to edit your digital photos online, directly from your browser window. You can modify them with basic tools, add many of the supported plugins such as text, stickers, speech bubbles, and your custom paintings. Finished image can be converted easily into another format, which is very useful if you want to make business cards, greeting cards, or modify image to better fit onto your website or blog. The main objective of piZap is to allow people with hundreds and thousands of pictures to be creative with them, and use them on more regular basis. Tools are simple, possibilities are endless, and sharing with your friends is only few clicks away! Easy to use photo editor and collage maker! Anyone who has used home computers and tried to prepare their images for sharing online knows that the basic programs that arrive with operating systems are so simple that they cannot help users who want to infuse them with a little fun. Sure, anyone can download a dedicated image editing apps, but what if you are on the move and you have only few minutes of your time on a computer that is now your own, and you really want to share some picture with your online friends? Fun and Easy Photo Editing! If you are that person, PiZap is a perfect web application for you. Created from the ground up to be as easy as possible for use, PiZap can help anyone to quickly infuse their photos with eye-catching effects before sharing them online. 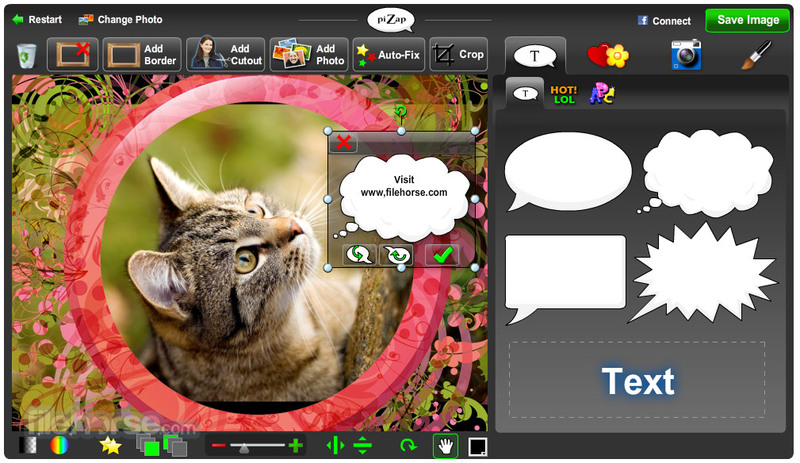 PiZap is an online photo editing application that is not searching to become your main editing application, but to enable users of all knowledge levels toeffortlessly access tools and services that are not present in basic applications that are shipped with installations of their Windows, Mac or Linux computers. Those apps are suited only to cover the most basic needs, often unable to perform even the most commonly needed procedures. However, if you have an internet connection, PiZap can help you with your little more advanced needs. With PiZap users can easily edit photos and access wide array of tools that can help you tweak those images in mere seconds in countless fun way. The basic focus on PiZap is not to allow users access to professional tool, but to offer eye-catching additions to your photos that can make them absolutely ready for sharing on all of your social networks. This includes automatic tool for making the colors of your image pop, applying dozens of effects, adding text, stickers, borders, cutouts, framers, meme captions, painting your own objects, and much more. Images can be cropped, zoomed, rotated, and in just few seconds totally transformed from their original form to the state when they are ready for online sharing. Created images can be saved for later accessing, download to your local storage, shared on social networks, and even used as Facebook Timeline covers and Twitter header Covers. In addition to basic images, PiZap can also be used to create stylish desktop backgrounds, collages of photos, and WebCamphotos that are infused with dozens of eye-catching effects. Fun and Easy Photo Editing! 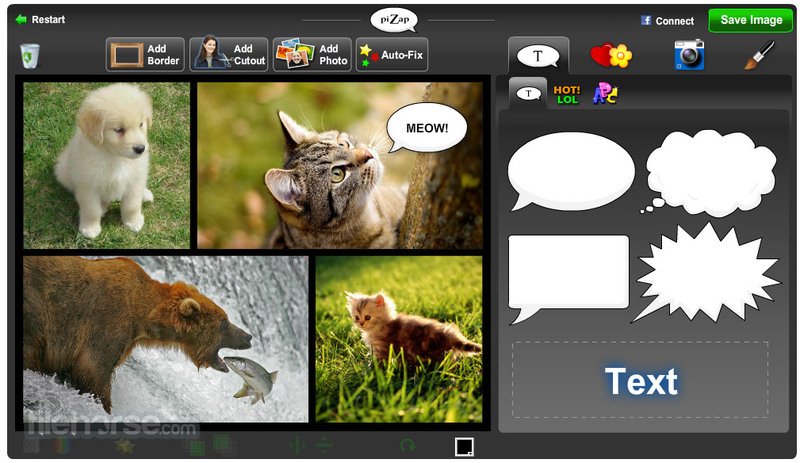 Mainpage PiZap attracts everyone to engage simple image editing by clicking on the button “Start”. This will lead you to the simple dashboard which promotes individual sections of the app – Edit Photo, Coolages, backgrounds, Web Cam FX, Facebook and Twitter background photo uploads. Each of those sections features easy way to load you images and visual tools that can help you to instantly modify your photos and make them more presentable to your online friends. 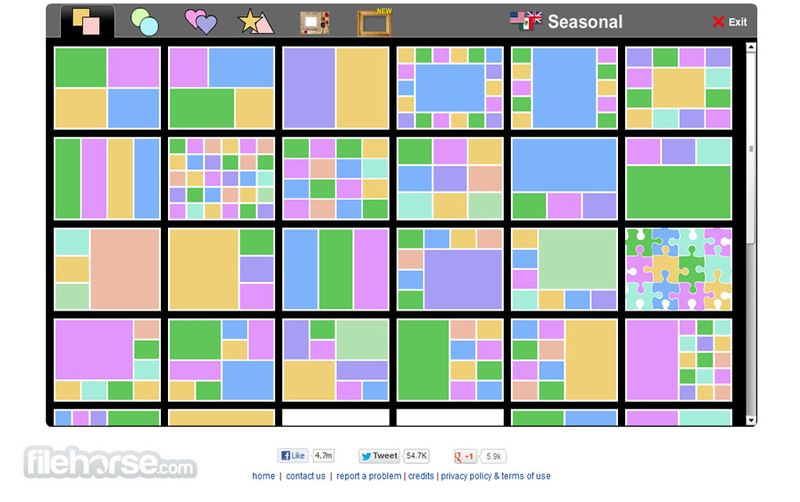 PiZap is very simple to use, which is apparent from the moment you load any of its editors. PiZap is 100% free for use. Sharing your photos online or downloading them to your local storage does not require registration. Accessible from any web browser and not requiring any type of plugin, PiZap is a webapp that you need to remember to visit for all your image editing needs that include colorful effects and attractive filters.